Since 2015, High Point Ireland has been building and promoting the most varied and interesting selection of upland list-based challenges for the Irish outdoor community. Now we are making our challenges even more flexible. 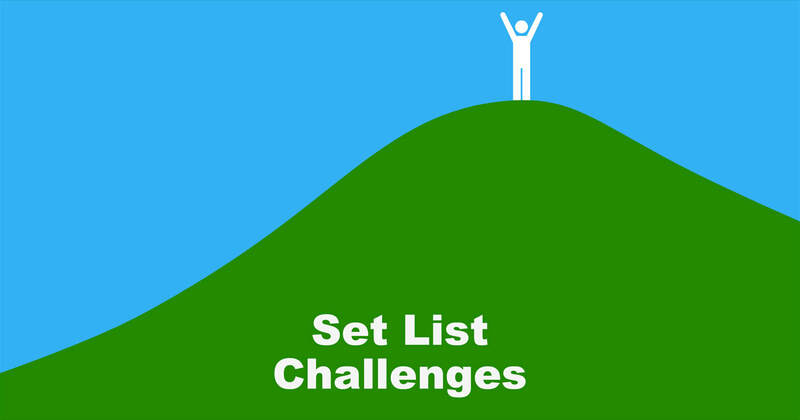 From January 2019, we are promoting our 16 set list challenges as any-time charity fundraisers. Challengers wishing to raise money for a good cause can choose their favourite charity, sub-list and time frame. We have been promoting our 10,000m Challenge each year since 2017. This is the first list challenge of its kind in Ireland and requires Highpointeers to visit 10,000 vertical metres worth of High Points in Ireland during a one-year period. In 2017 and 2018, our year-long 10,000m Challenge started on 1st January and finished on 31st December. There were limited challenger places allocated to the charities who had chosen to participate. From 1st January 2019, we are allowing participants to select their own start and finish dates for the 10,000m Challenge. The one-year time limit however will remain fixed. The challenger’s personal start date will be the day of the first High Point visit they wish to include in their challenge. The end date will be a year later. If the challenger fails to reach the 10,000m target within the year, they can simply reset their start date to that of a later High Point visit. We have been promoting our 25 High Points Challenge since 2018. This is the first list challenge of its kind in Ireland and requires Highpointeers to visit 25 different High Points in Ireland during a one-year period. In 2018, our year-long 25 High Points Challenge started on 1st January and finished on 31st December. From 1st January 2019, we will be allowing participants to select their own start and finish dates for the 25 High Points Challenge. The one-year time limit however will remain fixed. The challenger’s personal start date will be the day of the first High Point visit they wish to include in their challenge. The end date will be a year later. If the challenger fails to visit 25 different High Points within the year, they can simply reset their start date to that of a later High Point visit. 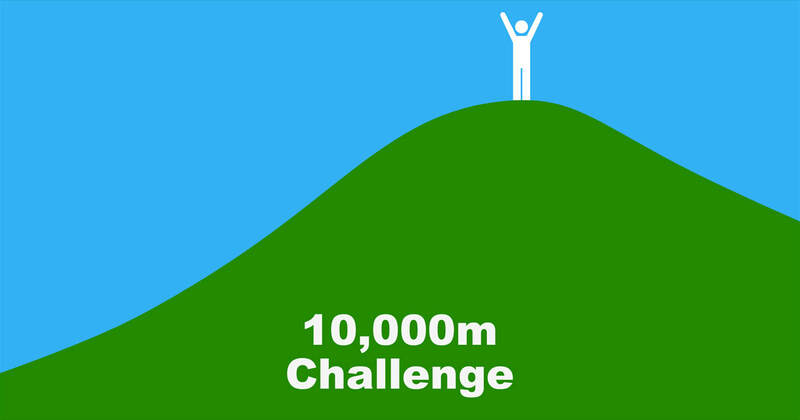 We have been developing our 10,000m Challenge as a charity fundraising initiative since 2017. From 1st January 2019, we are now promoting all of our list-based challenges in the same way. This is great news for fundraisers and charities as it creates more options and greater flexibility. As part of our outward-facing approach, we aim to develop Highpointeering as a way of connecting charities and fundraisers. If you are a charity who would like to get listed as a Participating Charity on our website, please get in touch. If you are an individual who is undertaking a Highpointeering challenge to raise money for a charity, please tell that charity about High Point Ireland and ask them to contact us to request a listing on our website. 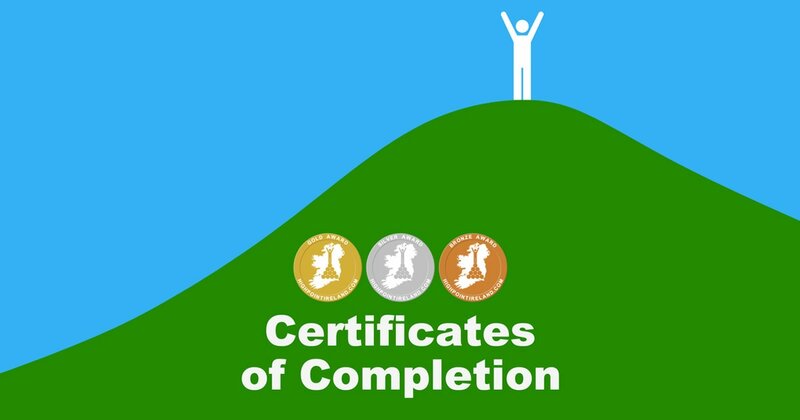 If you complete any of our list challenges, whether or not it’s to raise money for a charity, you can request a Certificate of Completion from us. To do so, you will need to log your High Points visits using the Peakhunter app. Peakhunter is our official logging partner and their groundbreaking smartphone app is completely free to download. 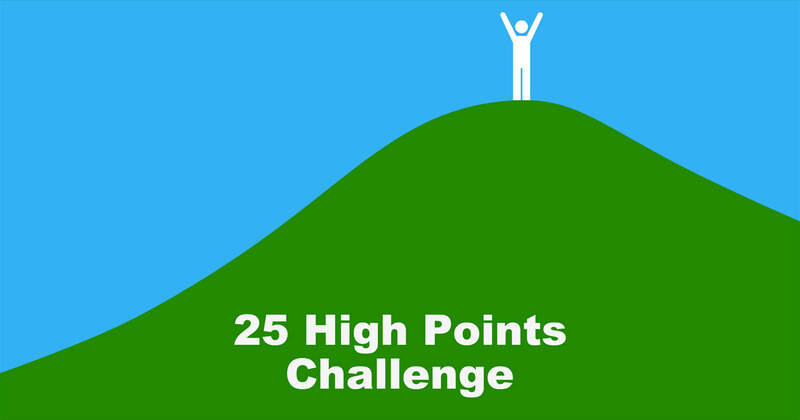 Peakhunter also hosts a special version of our 25 High Points Challenge within the app. Their version of the challenge starts on 1st January and ends on 31st December. If you manage to log 25 different Irish High Points between those two dates, you will earn a digital badge for your Peakhunter profile. 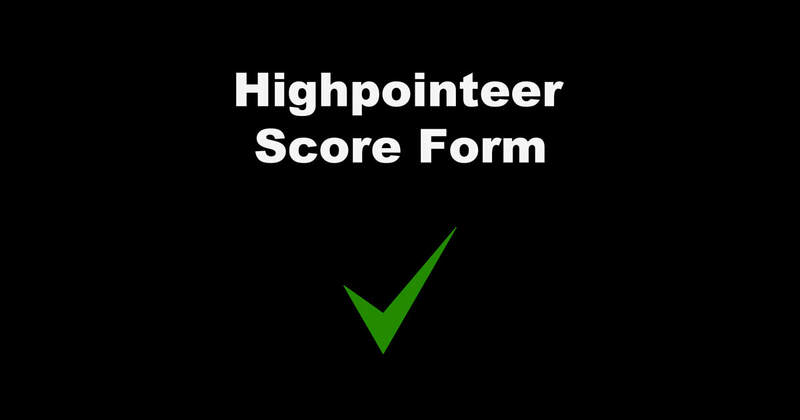 If you wish to also to take part in our annual awards and league competitions, you will need to register each of your High Points visits using our new online Highpointeer Score Form. From 1st January 2019, this new online form replaces the old Highpointeer Logsheet & Entry Form.